Full casting announced for London transfer of Theatre Royal Bath’s Trouble in Mind which will star Tanya Moodie and runs at Print Room at the Coronet from 14 September. Olivier nominated actress Moodie will be joined by Andrew Alexander, Daisy Boulton, Ewart James Walters, Faith Alabi, Geoff Leesley, Jonathan Slinger, Ncuti Gatwa and Pip Donaghy. Alice Childress’ Trouble in Mind enjoyed a critically acclaimed run in the Ustinov Studio,Bath, last November. It now moves to Notting Hill where it will run until October 14, directed by Laurence Boswell with Tanya Moodie in the lead role of Wiletta Mayer. Pip Donaghy returns to the role of Henry alongside Geoff Leesley as Bill. Laurence Boswell said: “I am thrilled to be restaging Trouble In Mind for the Coronet after its hugely successfully outing in Bath. 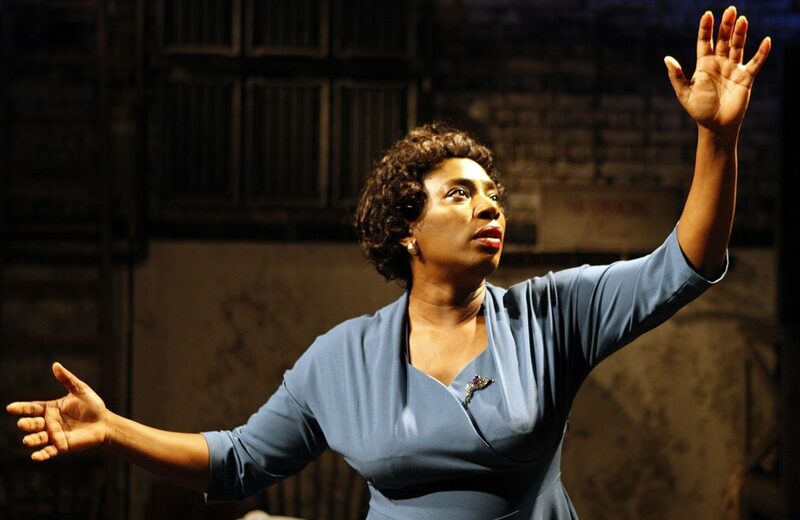 Written by trailblazing American playwright Alice Childress, the production tells the story of a group of African-American actors rehearsing for a 1950s Broadway production in a theatre dominated by white men. 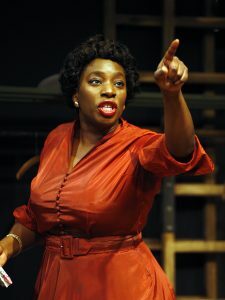 By turns comic and dramatic, Trouble in Mind was the first play by a black woman to be professionally produced in New York. Wiletta Mayer is a talented African-American actress who has spent a lifetime building a career in the theatre. Now she’s on Broadway, rehearsing ‘Chaos in Belleville’, an anti-lynching play with a white director. As rehearsals progress, Wiletta finds it increasingly difficult to relate to the part she is playing. Will she be able to overcome her misgivings and will the show go on?